CIMA provides you with a wide range of resources to help you meet your development needs. CGMA Store - an unprecedented choice of CPD resources designed to keep you one step ahead you no matter where you are in your career. CIMA conferences and academies - network, learn and advance in your career at conferences and CPD academies. CIMA on demand online courses - a catalogue of online CPD training courses designed to fit around your schedule. CIMAplus - a package of continuing professional development products. CIMA Mastercourses - a comprehensive range of more than 200 accounting, finance and business face to face training courses. Run in partnership with BPP. Our Competency and Learning website - find the gaps in your knowledge and record your professional development. Business source corporate® - a virtual library with hundreds of thousands of articles. CGMA.org - hosting numerous AICPA-CIMA jointly-developed resources and content. Financial Management magazine - a monthly magazine for members. Local events - develop skills with locally organised events that provide unparalleled networking opportunities. Podcasts - hear expert insights into technology and human intelligence from our weekly "Beyond Disruption" podcasts. Thought leadership - reports and tools providing industry leading insight. 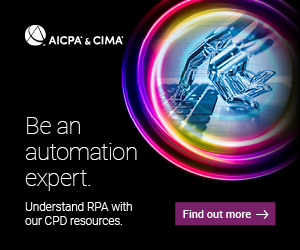 For more information on CIMA's CPD policy email cima.contact@aicpa-cima.com.